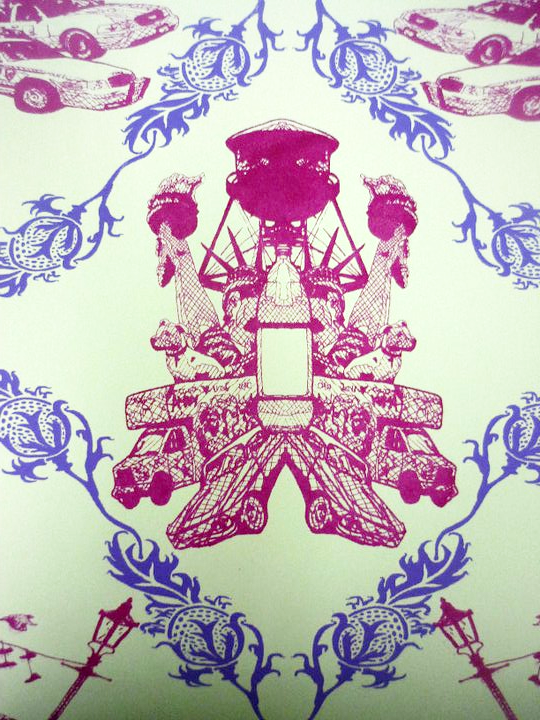 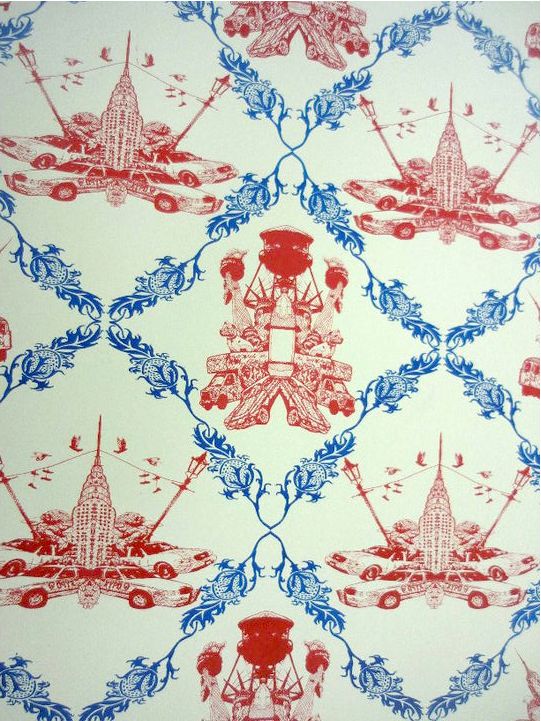 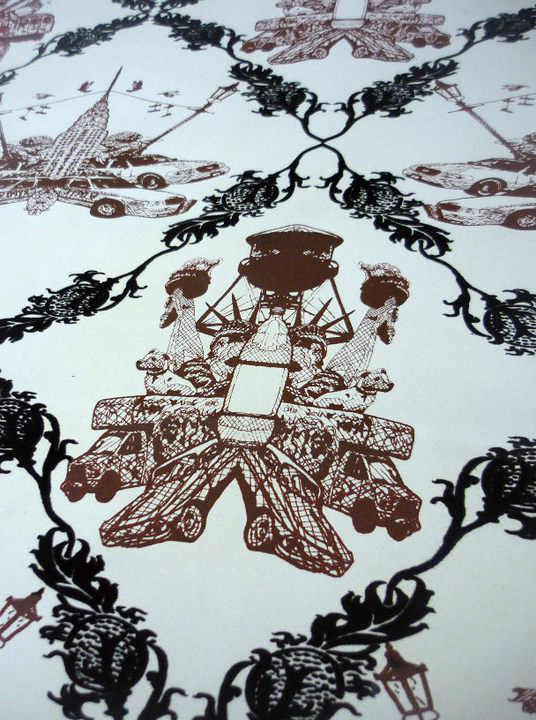 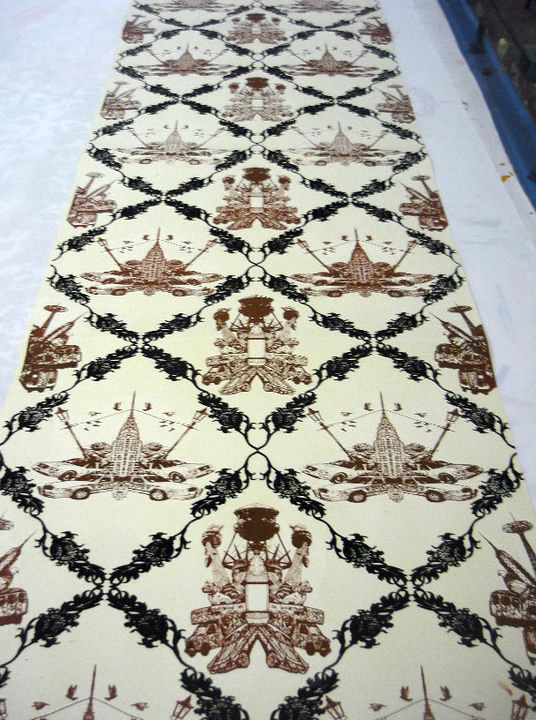 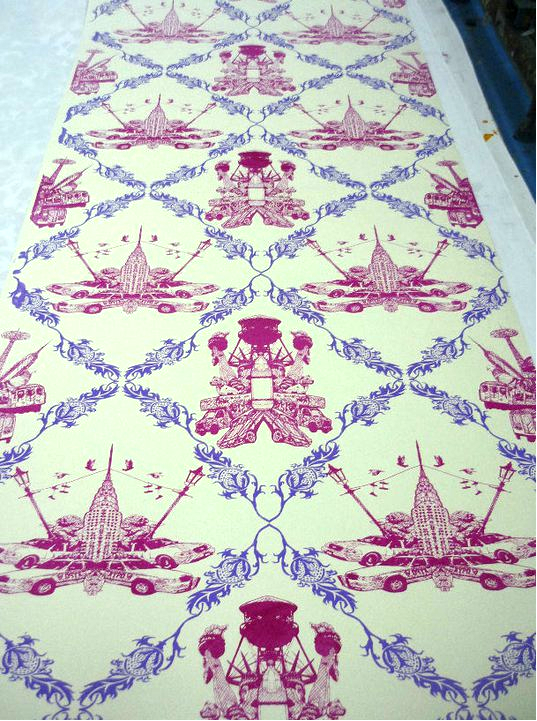 This is a 3 metre sample length wallpaper I printed on a hand bench (nightmare!). 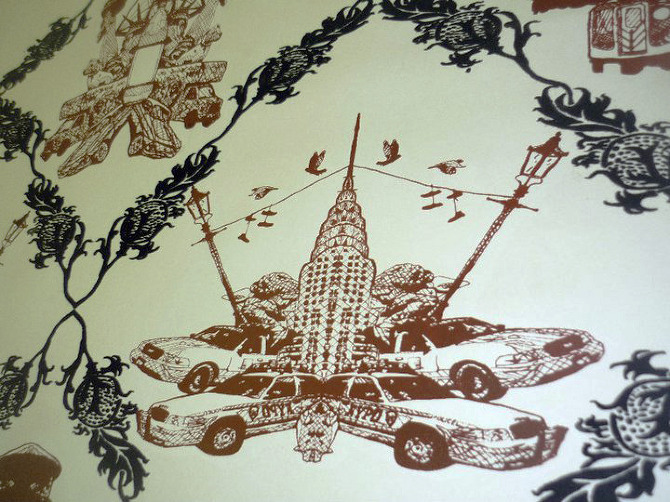 The design includes classic modern day New York imagery printed in burgundy within an Art Deco grid. 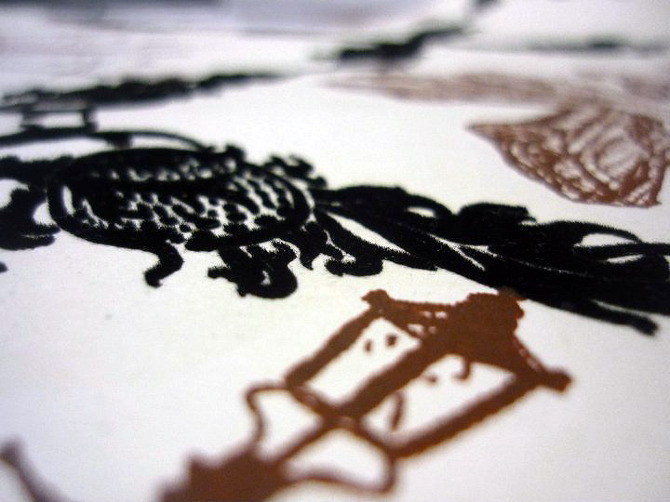 The Art Deco grid is made up from black flock and has been printed onto a natural paper stock.